When you work with Performance Engineering, you are more than a client: you are a partner. We are there to make your project successful and help you realize your vision. 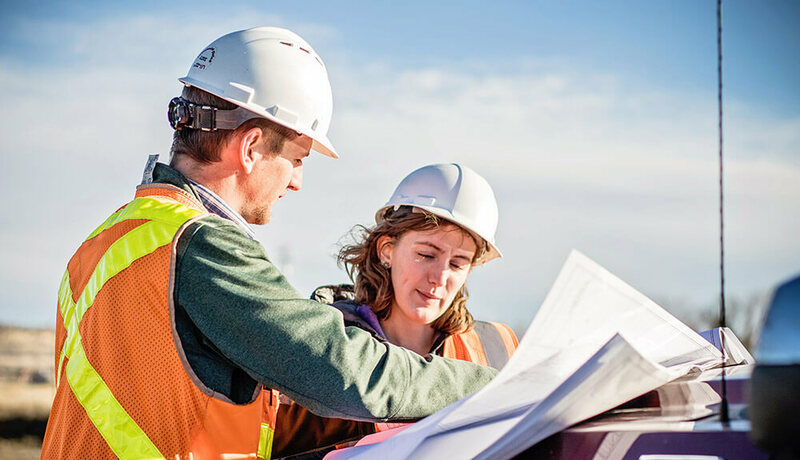 Our talented civil engineering and surveying staff will guide you every step of the way, ensuring all guidelines are met and delivering a project that is built the right way the first time. What sets Performance Engineering apart as a civil engineering firm? It’s the way we partner with you, along with our unwavering commitment to making your project a resounding success. Whether that means re-designing failing infrastructure, helping obtain grant funding or managing a community information campaign, Performance Engineering always goes the extra mile for you. Up for a Challenge? Learn What It Takes to Join Our Team. The Performance Engineering team has successfully planned, designed and managed hundreds of projects throughout Montana, Wyoming and the Dakotas. Find out more about the markets we serve. Cities and counties depend on a strong infrastructure. Municipal clients know we have extensive experience in the public sector and that they can rely on us to plan, design and build innovative, functional projects sure to withstand the test of time. Federal projects require extensive knowledge of regulatory and administrative requirements. Our expertise ensures our ability to deliver projects on time and within budget, even in the most extreme environments. For innovative and cost-saving solutions for drinking water, wastewater and stormwater projects, you can rely on the team at Performance Engineering. We have the experience you need to successfully complete your water resource project. Partnering with Performance Engineering is the first step to ensuring the success of your land development project. From conceptual design and navigating the permitting process to construction management, you can trust us to make the most of your property investment. Performance Engineering is the ideal partner for oil & gas firms looking for a firm skilled in permitting and able to create efficient, cost-effective solutions. At Performance Engineering, we make environment engineering projects successful while protecting natural resources thanks to our expertise in working with state and federal regulatory agencies.